It's never easy being the poor relation. That is a lesson Fanny Price must learn when she's sent to live with her wealthy aunt and uncle in Mansfield Park, based on the Jane Austen novel. Young Fanny's mother can no longer take care of her, and luckily, she has better-off siblings who are willing to give Fanny a home. Unfortunately, even though she is family, Fanny is never allowed to forget that she is the poor cousin. Lady Bertram and her husband live in a beautiful stately home with their four children and another aunt, the snooty (although she seems to be a poor relation living on charity, too) Aunt Norris. Fanny, played by Billie Piper, is treated as a servant, to be called upon to do everything from fetching and carrying to providing companionship for the aunts. During her time at Mansfield Park, Fanny has fallen in love with her cousin, Edmund. He is the second son of her relatives, and so decides to be a clergyman since he won't inherit the estate. The oldest son, Tom, who will inherit, is a dissolute fellow, given to drinking, carousing, and (horror of horrors) putting on plays. Fanny's life is going along on its fairly uncomplicated path until a scheming brother and sister pair arrive in the neighborhood. Mary and Henry Crawford have left the family home in London to travel in the countryside after their stepfather, "the Admiral" moves his mistress into the house. Mary is hoping to find a rich husband who will allow her to move up in society. Henry is a flirt and only hopes to find some girls to occupy his time. 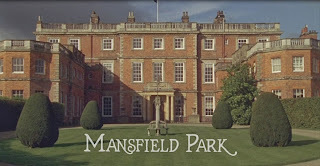 They arrive at Mansfield Park with their eyes on the Bertram siblings. Poor Fanny, of course, isn't worth bothering about. Mary, naturally, wants to marry the older brother, Tom, so that she can become lady of the manor. What a pity that Tom has vacated the boring countryside for more lively surroundings. Sir Thomas, his father, has had to go to the West Indies for business, so the son has decided to make marry while he has a chance. There's nothing else for poor Mary to do but set her sights on the younger brother, Edmund. When she finds out he wants to be a clergyman, which is not only dull but also doesn't pay very well, she attempts to persuade him to adopt a more lucrative career. Henry, on the other hand, determines to woo the younger daughter, Julia, since oldest daughter Maria is engaged to the devoted, if somewhat simple, Mr. Rushworth. Maria, however, seems rather smitten with the new arrival. In the midst of all this flirtation, Tom arrives back and announces that his family members should help him to put on a play. Everyone is given parts (some more reluctantly than others) and the rehearsals give the couples even more chances to flirt shamelessly. Unfortunately for the assembly, father Thomas returns, glowering, and puts an end to such frivolities as play-acting. stepfather (the Admiral) to arrange a promotion for William. He thinks this will make Fanny indebted to him, but he's wrong. Fanny has seen his scandalous behavior with her engaged cousin, and she knows him to be a devious and untrustworthy person. Henry, not wanting to lose an advantage, appeals to her uncle. Sir Thomas, as nearly all of the older generation is wont to do, scolds and browbeats Fanny for not doing what everyone else wants her to do. He tries to talk her into a relationship with Henry, but Fanny (still secretly in love with cousin Edmund), refuses to go along with everyone else's plans for her. Uncle Thomas will eventually be relieved she was so perceptive about Henry's character, although he won't have seen the last of Henry just yet . . .
caught up with him, and he's carried home to recuperate. Luckily, the doctor is on hand with plenty of leeches, so his health will be sure to improve with such state-of-the-art medical treatment. In the meantime, Mary Crawford, who had given up on boring old clergyman Edmund, reappears when she hears that older brother Tom might be on his deathbed. 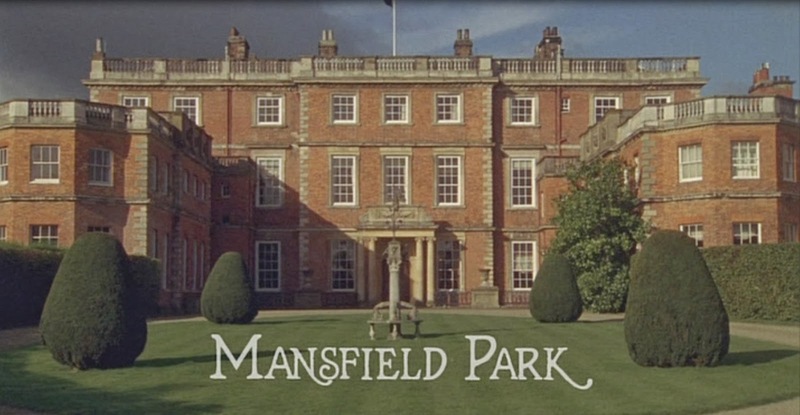 Not that she wishes him ill or anything, but if he's going to die anyway, she might as well be on hand to offer comfort and consolation to the new heir of Mansfield Park. Thankfully, by this time, Edmund has begun to catch on to her deceitful ways. Poor Fanny is still hanging around the periphery of all this flirtation and plotting, so it remains to be seen whether or not Cousin Edmund will ever begin take notice of her as anything other than a piece of furniture in the living room. Then again, as this adaptation is based on a Jane Austen novel, I think we can be pretty sure that the virtuous maidens are rewarded with love in the end! I was excited to see some familiar Eastenders faces in the cast, with Michelle Ryan (Zoey Slater) and Maggie O'Neill (Suzy Branning) making appearances.